If your aging parent suddenly starts losing weight, the first thing you should do is make an appointment with his or her physician. In the meantime, there are some things you can do at home that may stimulate your parent’s appetite and help him or her regain lost weight. Here are a few steps to take if your loved one experiences sudden weight loss. One of the simplest interventions you should consider is asking if your loved one is experiencing any unusual symptoms. If your parent has been experiencing stomach pain, diarrhea, constipation, or loss of appetite, he or she may have gastroenteritis, a digestive disorder that causes inflammation in the gastrointestinal tract that may be related to infections or foodborne illness. Once the infection has cleared, normal eating patterns should be reestablished to stop weight loss. 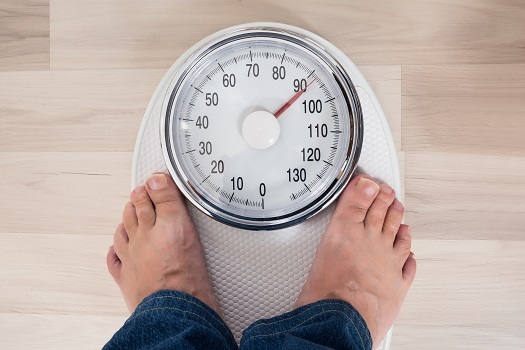 Sudden weight loss might indicate the onset of a major medical condition. Living with a serious health condition can make it challenging for seniors to age in place. However, they can maintain a higher quality of life with the help of professional live-in care. Barrie seniors can benefit from assistance with meal prep, bathing, transportation to the doctor’s office, medication reminders, and much more. It’s not unusual for seniors to become depressed over the loss of a spouse, family members, or close friends. If your loved one is depressed, he or she may not feel like eating and subsequently lose weight quickly. If your parent displays symptoms of depression such as crying excessively, sleeping too much or too little, or losing interest in hobbies or socialization, make an appointment with his or her physician. The doctor can perform a physical and mental evaluation and refer your parent to a psychologist for further evaluation and treatment. Once the depression has been treated, a robust appetite may return and weight loss may slow. If your loved one doesn’t have mobility issues, suggest engaging in a form of mild exercise such as walking. Exercising promotes hunger and may result in consuming more calories. Make sure your parent is eating well enough to compensate for the increase in exercise. If exercise is increased in the absence of an increase in caloric intake, weight loss may persist or worsen. Older adults who require assistance with exercising should consider professional in-home care. Barrie senior home care experts are available to provide high-quality care to seniors on an as-needed basis. From assistance with mobility and exercise to providing transportation to the doctor’s office and social events, there are a variety of ways professional caregivers can help your aging loved one continue to live independently. Certain prescription drugs can cause sudden weight loss by increasing metabolism. When the metabolic rate rises, shaking, elevated heart rate, sweating, diarrhea, anxiety, and a sudden weight loss may occur. If your parent takes medication to regulate an overactive thyroid gland, talk to his or her physician about lowering the dose to stop sudden weight loss. Seniors who need help preventing excessive weight loss and maintaining a high quality of life can benefit from professional in-home care. One of the most challenging tasks of helping an elderly relative age in place safely and comfortably is researching agencies that provide elder care. Barrie families can turn to Home Care Assistance for reliable, high-quality in-home care for aging adults. We offer 24-hour live-in care for seniors who require extensive assistance, and we also offer respite care for family caregivers who need a break from their caregiving duties. To learn about our high-quality in-home care services, give us a call at 705-503-2273 today. Does Forgetting Words Mean My Loved One Has Alzheimer’s? How Does Socializing Benefit Seniors?